Defending in soccer is one of most under-coached but important parts of young players development. Every player starts out wanting to be the next big goalscorer or ‘skill-artist’ – very few young players start out saying ‘I want to be the best defender in the world’. But, that doesn’t mean you should ignore it…. …and a whole host of other areas that are absolutely vital in shaping your young players. The defensive part of your team is extremely important and without it you’re going leak a lot of goals – and along with those goals? You’ll start to see your teams moral and confidence disappear too. So, whats the solution? Well, working on your defensive game. And that’s where this guide will come in handy…. Here’s a list of key coaching points to keep in mind when coaching defending. Under each drill I have also listed and repeated a few of the more important ones to keep in mind. This drill is great when if you’ve got a big group to coach as you can set up multiple mini-pitches along side one another. Set out each mini-pitch with a an area the defenders defend and a goal opposite for the defenders to aim for if they win the ball. The drill starts with the the defender playing the ball into the attacker. The attacker then starts to attack the space. The defender must close down the space and look to win the ball. The aim of the defender is either win the ball or push the attacker outside the lines so the ball is dead before they can reach the shaded area. If the defender wins the ball, they can break away and pass into the goal. The goal represents another player and helps encourage defenders to look up and play the ball out of defense so their team can attack. 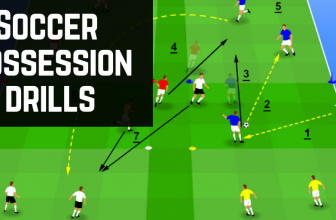 You could, if you want to add targets (balls on top of cones) to really work on the accuracy of your defenders passing. 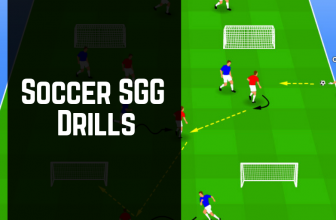 For this drill you’ll need a soccer goal, a keeper and some cones to mark out player starting positions. To start the drill the goalkeeper chooses an attacker to throw the ball too. Each defender takes it in turns to either pressure the defender or become the supporting player. The role they take will depend on which side the keeper throws to. 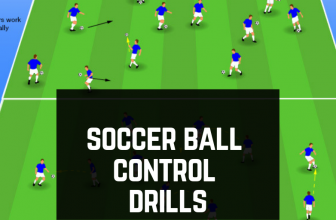 6 Second Rule is a drill that encourages your players to work as a team to win the ball quickly after losing possession. Mark out an area to work in and place all your defender on the outside of the area (in the example above the defenders are playing in blue). One of the defenders plays the ball into the attacker in the middle. Once the the pass is played all of the defenders start to pressure the attacker and try to win the ball. Defenders have 6 seconds (this can be changed depending on player age and skill level) to win the ball the ball back. If the defenders win the ball, they must make 5 passes to score a point. The attackers also need to complete 5 passes to score a point. Progression 2: Start with a 10 second rule then progressively work your way down to 6 seconds. This is a brilliant drill to encourage your defenders to support one another. To set the drill up 5 players; 2 defenders and 3 attackers. At one end you’ll need a goal or targets of some sort. You can set multiple of these mini-pitches up depending on the space you have available to use. Line the attackers up with 1 on the outside, 1 in the first box and 1 in the second box closest to the goal. Each defender takes up a starting position in each of the boxes. 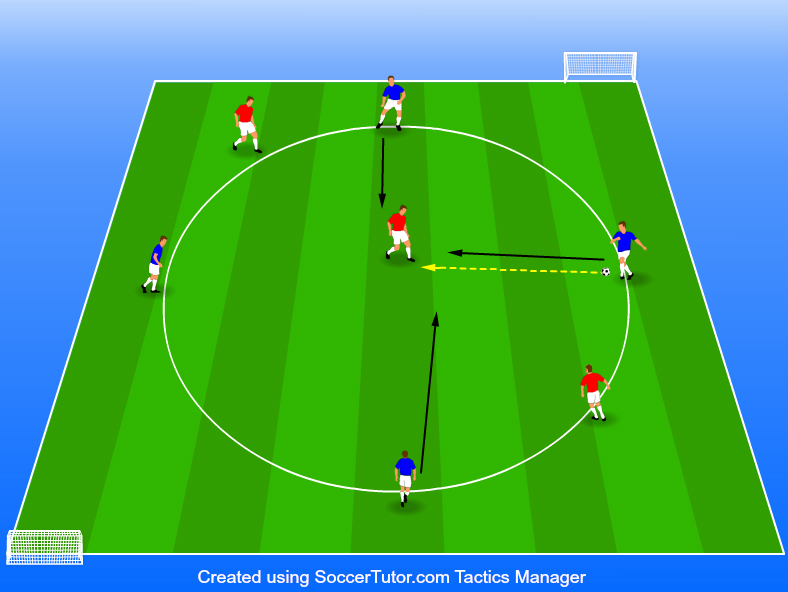 To start the drill, the outside attacker plays the ball into the second attacker. The defender must try and win the ball from the attacker before they can play it forward. If the attacker manages to play the ball into the next area, the defender must sprint back and take up a supporting position to help their team mate. 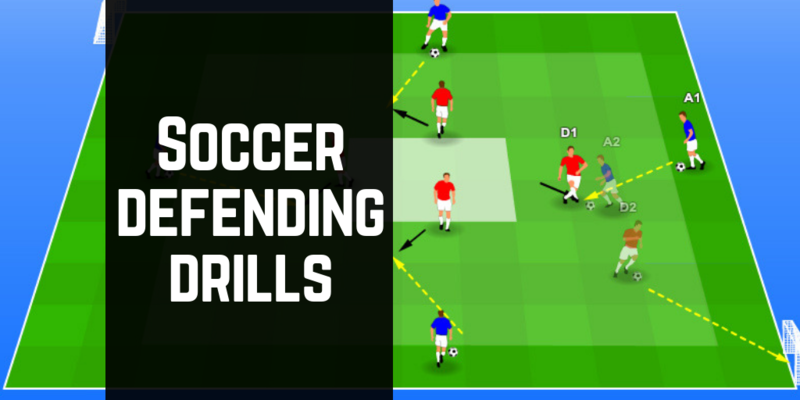 This is a simple defending drill that can be used as a warm up activity before a defensive focused training session. Set up a small boxed off area with 2-3 attackers each with a football. The defender must try and win the ball from each of the attackers. Or, you could slight combination of both…. You’ll need to setup 3-4 small boxed off areas each with at least 2-3 attackers in. Each box will have a defender in it as well. On the coaches whistle the defenders must try and win the ball (as normal) from the attackers. If they do they swap roles with the player they won the ball from. After 20 seconds, the coach blows his whistle again and each defender must now sprint into another boxed off area to try and win the ball. 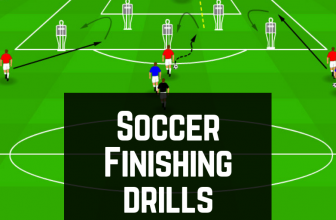 For this drill you’ll need about half a pitch to work with. Line up your players around the edge of the pitch giving each of them a number. Make sure you have 2:1 defender to attacker ratio. 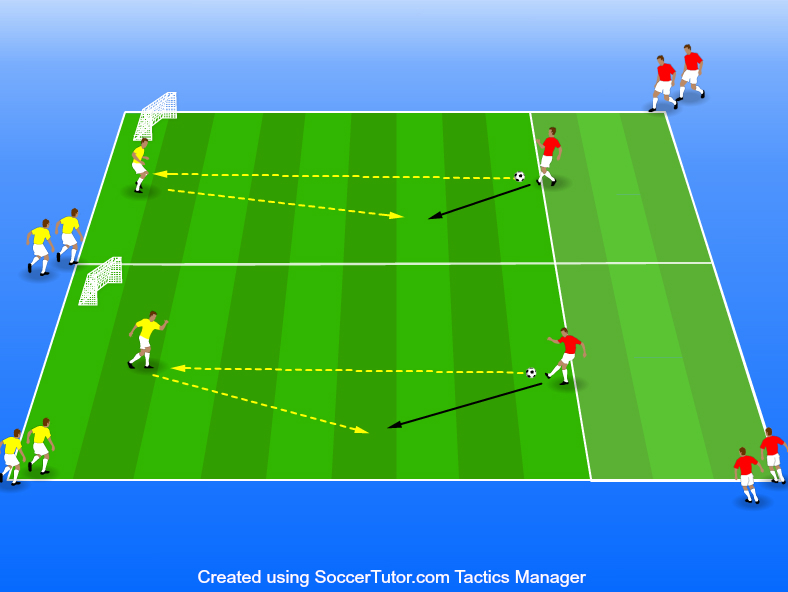 The goalkeeper again is the trigger for this drill. The keeper throws the ball to one of the attacker while shouting a number of one of the defenders. The defender must react to the call, close down the space and try and win the ball from the attacker. Each defender gets a turns at trying to defend the attack from various angles around the marked off area. This is a really simple drill that I mostly use with younger age groups to teach them the basics on defending. However, with a few little tweaks this drill can go from a passive defending drills to a full on competitive 1v1 situation. First, to setup, mark out 4 cones to create a boxed off area. You can have multiple boxes for each pair depending on the size of your training pitch. One player has the ball while the other player attacks. To start with, have the defender act in a passive way; jockeying and keeping there eyes on the ball. Ensure both players get a turn to practice their passive defending. Then to progress, the defender turns to active – they can now win the ball. Finally, position each player at opposite ends of the box. One player attacks while the other player defenders and tries to either; win the ball or push the defender outside the box lines. The aim of the attacker is to get the ball to stop dead on the defenders starting line. Progression 2: Position both players either side of the box. The attacker tries to get the ball to the other side of the box while the defender tries to push the attacker outside and/or win the ball. 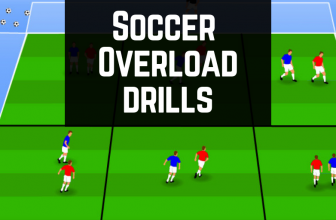 To set this drill up you’ll want to create 2 boxed areas. One large area for the attackers to stand round and one smaller box in the middle for the defenders to protect. Each attacker starts with a ball. 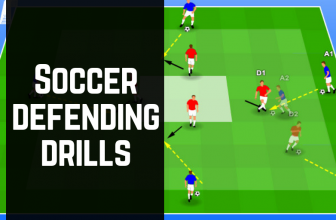 This drill is brilliant for not only working on the defensive duties of your players but also helps them understand their role after they win the ball. By Setting up 2 or 3 goals further out for your defenders to play the ball into, you’re encouraging them to look up and play the ball forwards to help their team attack. Progression 1: Set small pop-up goals in the small box area. Defenders start with 10 points. If the the attacker manages to stop the ball dead in the area they lose 3 points, if they score in the pop-up goal they lose 1 point.